CHICAGO (WLS) -- The NHL has announced the dates and starting times for the 2015 Stanley Cup Playoffs Conference Finals. 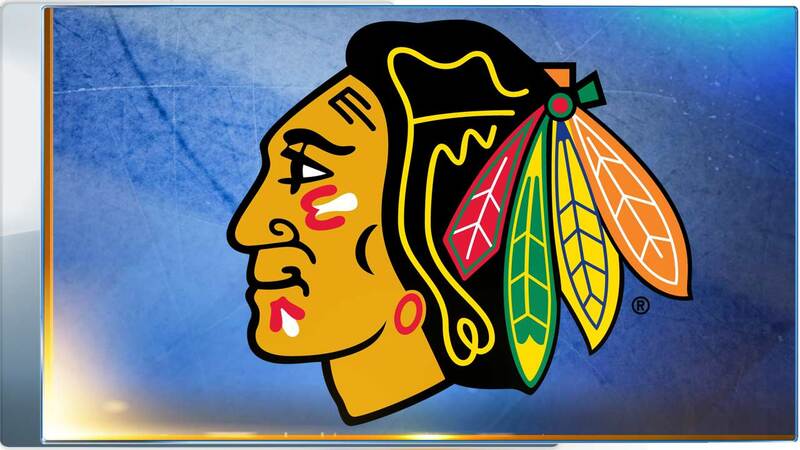 The Chicago Blackhawks will play the Anaheim Ducks in the Western Conference Finals beginning Sunday. All times listed are ET and subject to change, the NHL says. The winner of the Chicago-Anaheim series will go on to face the winner of the Eastern Conference Finals in the Stanley Cup Championship. The Tampa Bay Lightning and New York Rangers being their series Saturday. The Chicago Blackhawks had a few days away from the ice after advancing to the Western Conference final. Winger Bryan Bickell made the most of it. He found time to go bass fishing. He took his 8-month-old daughter for some walks. "She's growing like a weed," Bickell said. "She's crawling and she's climbing things. That's what it's all about." The Blackhawks hope to keep climbing toward another championship. They completed a sweep against Minnesota in their conference semifinal series last Thursday, then had two days off to rest. They returned to practice Sunday and found out they will meet Anaheim in a conference final that matches the league's hottest and most battle-tested teams. The question is: When will they play? The NHL won't start the next round until all the conference semifinals are complete, and that means the Blackhawks and Kings probably won't play until late this week at the earliest. That gives Chicago plenty of time to relax and heal whatever bumps and bruises were brought on by the playoff grind. As long as they maintain their edge, that's not a bad thing. "Over the course of a playoff run, you have some highs and lows, and getting a break is definitely advantageous," coach Joel Quenneville said. "You have to use it the right way and get excited when you come back on the ice." Chicago, seeking its third championship since 2010, might need every ounce of energy if it's going to advance to the Stanley Cup final. "Late in the season we did a pretty good job of practicing hard and getting intense in practice," goalie Corey Crawford said. "That makes a big difference. It's easy to carry it over when practice is really intense." The Ducks boast one of the deepest lineups in the league. The three-time Pacific Division champions are 8-1 in the postseason after rolling past Winnipeg and Calgary and advancing past the second round for the first time since they won the Stanley Cup in 2007. They have more goals (35) than any other team in these playoffs, with Corey Perry boasting a league-leading 15 points. But they're going up against one of the league's model franchises, one with five trips to the conference final in seven years. The Blackhawks this postseason knocked out Nashville in six games and swept Minnesota. "It feels good to sweep and get that rest," Brandon Saad said. "It's definitely a waiting game. I think it's good for the body to get away from the game a little bit and rest and re-energize for the next series." Bickell found time for his family and a chance to cast a line in the water. He caught some largemouth and smallmouth bass. "I think this rest is good. It gave me more time to hang out with the family and just not think about hockey for a couple days," he said. "I feel good. I don't feel any bumps or bruises after the last round. I'm looking to go have a good round in this round."